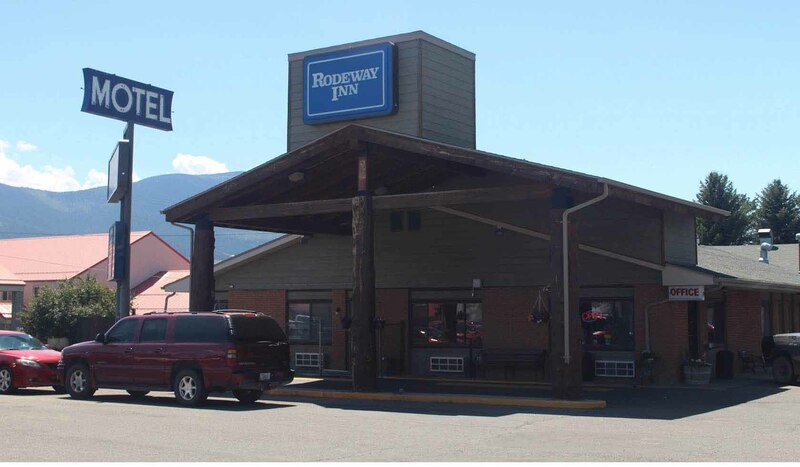 Rodeway Inn is just one hour from Yellowstone National Park and has lots to offer. We have 44 ground floor rooms most with outside entrances and all with interior corridor doors. Free continental breakfast from 6:00am to 9:00am with room, free guest computer, free high speed wireless Internet access, microwaves and refrigerator/freezers in all rooms, free local calls, in-room coffee makers, smoking rooms available, iron and ironing board in some rooms, two Jacuzzi rooms, individually controlled heating and a/c units, expanded cable and HBO, designated pet friendly rooms (charges apply), guest laundry, a heated indoor pool, convention center and meeting rooms, and oversized vehicle parking. Cafe at Clarks Crossing, family style restaurant on site for all your dining needs. Fireside Lounge and Casino has a large screen TV, pool table, dart machine, and gaming machines. Clark's Gifts and Sweets has over 700 types of candy and unique gifts for everyone.